Chinese fighter jets are accused of an “unprofessional” intercept of a US Air Force plane — including flying upside-down above the aircraft in a move apparently inspired by the Tom Cruise movie Top Gun. The two Chinese Su-30 jets came within 150ft of a US “radiation sniffer” plane during an encounter over the Yellow Sea, which divides the Korean peninsular from the Chinese coast. “Distances always have a bearing on how we characterise interactions,” she said, adding that an investigation into the intercept was underway. 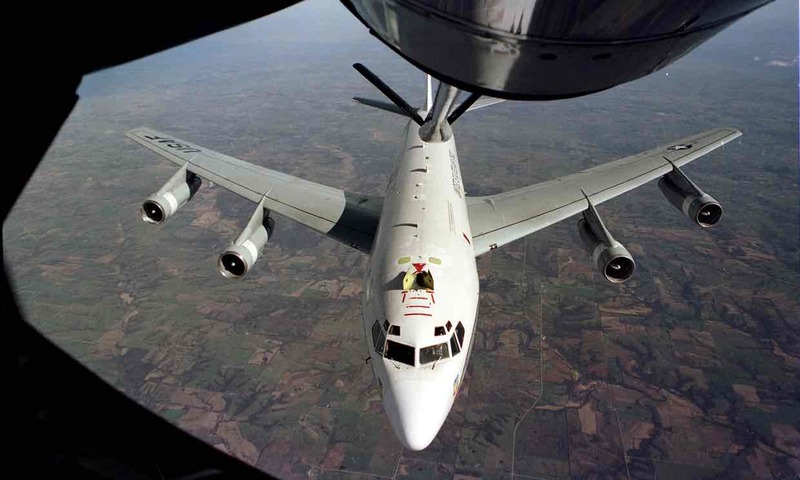 She said the WC-135, which monitors elements that nuclear tests emit, was carrying out a routine mission in accordance with international law. The Trump administration has has continued to increase pressure on North Korea to rein in its military ambitions amid a spate of ballistic and nuclear tests. The incident between the US aircraft and two Chinese planes on Wednesday is the second this year. In February, we reported how a Chinese surveillance plane and a US Navy P-3 Orion aircraft experienced what US officials called an “unsafe” near miss over the South China Sea. Windowless planes: Will they ever take off?